This study investigates the problems translators encounter when rendering features of Dickens's style in A Tale of Two Cities into Arabic. Examples of these features are singled out and analyzed. 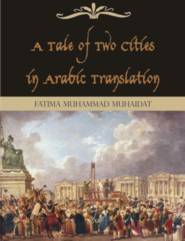 Then, they are compared with their counterparts in published translations of the novel in Arabic. The comparisons depend on back translation to give non-readers of Arabic a clear idea about the similarities and differences between the source text and target one(s). The features under focus are sound effects, figurative language, humor, repetition, and the French element. The discussion dedicated to onomatopoeia, alliteration, and rhyme shows that there is no one-to-one correspondence between English and Arabic in reflecting these linguistic phenomena. Translators may resort to techniques like rewording or paraphrasing to convey their propositional content at the expense of their sound effects. Problems also arise when rendering figurative language into Arabic. Various images in the novel are substituted by different ones that convey similar meanings in Arabic. Some of them are deleted or reduced to their propositional content. In addition, footnotes are used to convey cultural aspects. Translating humor shows the role context plays in facilitating the translator's task. Techniques of translating humor conveyed via substandard English are noted. The researcher also discusses translating humor that depends on background knowledge that the target text readers may not be familiar with. Further translation issues are noticed when rendering repetition. Some linguistic asymmetries between English and Arabic make translators dispense with repetition and resort to synonymy, collocations, and constructions that fit in Arabic. More problems arise when rendering the French element in various names, titles, and what might be considered as literal translations of French speech. Throughout the discussion suggestions are made to bring about more adequate renderings. This study also discusses the novel as a metaphor of translating. Many aspects of the novel are comparable to the translation process. Relationships among various characters provide a perspective from which the relationship between authors, translators/readers, and text can be seen. Finally, the significance of some examples of inter-language communication in the novel is pointed out.